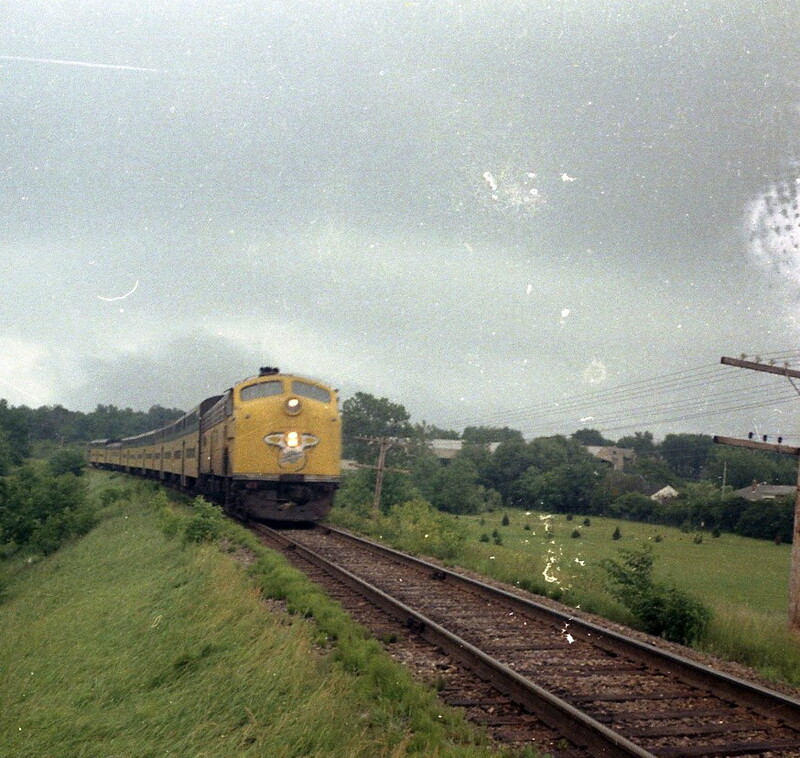 Train 214 is about to cross over US 141 (now I-43) and then to Wiscona on the northside of Milwaukee. Note the train has a pinch hit diner in the consist (single level). Diner could be either 6954 or 6956.